You probably already know that Australia is a country with more kangaroos than men (or women) . Do you know there are a lot of special roads that can only be found in Australia? 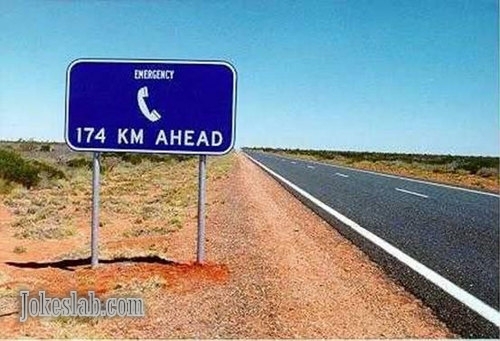 This entry was posted in Funny Pictures and tagged Australia, car, emergency, funny, picture, road sign. Bookmark the permalink.